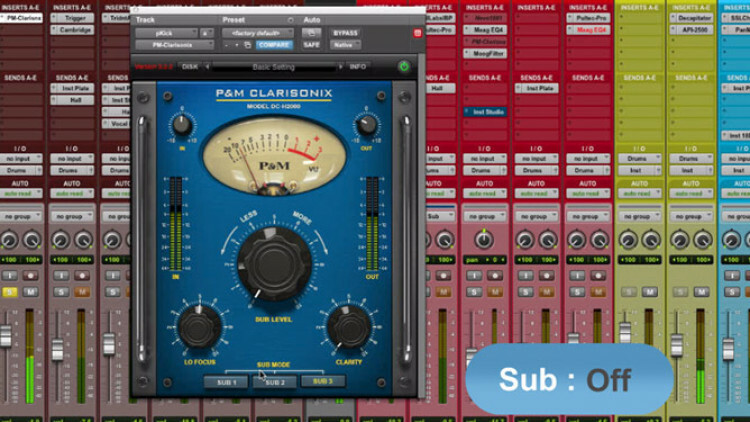 Producer Ben Lindell uses the Plug&Mix Clarisonix plugin to add punch, fat and clarity to an electronic kick drum. Tweaking them quickly adds size, weight and presence to the kick drum’s original sound and helps the kick cut through the mix. Become a pureMix.net Pro Member and recieve one FREE Plug&Mix plugin such as the Clarsonix - join and claim your free plugin now! Today, I'm gonna show you how to add more depth and clarity to your kick drums. I've got a track here already sounding pretty good, but my kick drum seems to be lacking a little something. Before we get started, let's take a listen to the chorus of the song and see if you notice anything missing with the kick drum, and then we'll dive in and start working on it. Here we go! It's a pretty good sounding track, right? The mix is pretty far along, but I'm listening on pretty good speakers, and I can tell there's a kick drum, but I can't really feel it yet. So let's listen to the kick drum in solo and see what it sounds like. Here in that kick, I feel like it's all head, and no chest or body yet. I could try and use an EQ but there just might not be a lot of low-end information there to pull up. Instead, I'm gonna use the Plug & Mix Clarisonix plug-in to add bottom and weight to my kick. Let's check it out. I'm gonna start by tweaking the Lo Focus knob. It doesn't tell you what frequency it is, but I can tell you that you can feel it right here. As I turn that up, I'm gonna turn the output down just a little bit. Now, let's check out what it's doing. So as you can hear, as I turn the Lo Focus up more, the kick drum just suddenly becomes more bassy. It does lose a little bit of definition towards the higher numbers, but that's probably a function a little bit of my parallel compression, and my 2-bus processing working harder as I turn up the kick drum. Let's check this out, before and after, at roughly the same level. So as you can hear, when I turn up the Lo focus, I'm losing a little bit of the attack, which is basically all that kick drum was to begin with, but I'm adding a lot of chest, a lot of meat to my kick drum, which is great. Let's see what adding some Sub Level to my kick drum will do. I wanna make sure that everyone's listening to this on either good headphones, or speakers that can reproduce these low frequencies. If you're listening to this on earbuds, or laptop speakers, it's all just gonna sound the same to you. I turn the output down a little bit more. As you can hear when I'm playing with the Sub Mode buttons, just, it sounds slightly different. Some sound lower, some sound higher, and once again, they're not labelled, so you just go with what your ears tell you, which one sounds the best. In this case, I think I like how Sub 3 sounds. So let's check this out before and after again. And now, with some Sub. It's not just for fun. Let's listen to the kick without the plug-in completely, and then with it again. First, without. It's hard to believe that that's the same kick drum sample, isn't it? Now, if you look at my kick, it has a lot of weight to it, a lot of bottom end, which I was really looking for, but we've got to see how this sounds with the rest of the mix in. Let's check out the before and after in the context of the mix. And again with the Clarisonix. It feels like I accomplished exactly what I set out to do with my kick drum, adding a lot more meat to its bones. But I think in doing so, I may have slowed it down a little too much with all that weight. I need to add some presence back to it, to bring it forward in the mix, and allow it to be heard on your small speakers and earbuds. So I'm gonna reach for the Clarity knob just turn it up a little bit, and that should do just the trick. I'm gonna play back the chorus one more time, and as it's playing back, I'm gonna crank up the Clarity knob, and you'll hear the kick drum just sort of move forward, and become more present as I do so. So as I showed you today, it is possible to add more meat, punch, and clarity to your kick drums, without even using an EQ, or a compressor. I hope you enjoyed this tutorial. Until next time! I'm Ben Lindell. This videos are always very helpful, but this strikes me more of a get this plugin, crank this knob and voila rather than a this is what this is doing and this is why it sounds better, and here were my alternative options. To his credit, he explains it very well and he has succeeded in making me decide to purchase P&M plugins. P&M plugins were unknown to me before Puremix. They are some of the best plugins I own including one of the best stereo spread knobs on the market. Great video but I have what I feel is a pretty important suggestion. When you're A/B-ing a plugin on and off. It's really distracting when you stop everything and say 'and now here it is bypassed' and then play. It would be much better if you just played the song and flicked between bypass on and off as the song is playing so we can listen in pure free-flowing context. 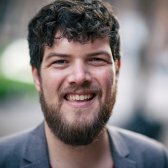 I found myself getting impatient every time you stopped the track and explained that you were now enabling the plugin. I hope this doesn't come across overly harsh but it would be a great tweak to make in the vids! Nice one Ben, a quick approach to get an extra punch in the chest. Whats an alternative plugin to this one? Great tutorial , and one of the best plugins I own. I love the way you turn it till it sounds right , without all the nasty side effects some eq's add. Clarisonix is a great 2 knob EQ Low and High. Could have done the same thing with an EQ but it's a good way of showing other ways of working. Personally I liked the kick how it was and though a heavier bass line would have complemented it better, but with the kick sub's frequencies added, it sounded great Too! Good Job! QUE BUEN TUTORIAL, MUY PROFESIONAL Y MUY CLARA LA EXPLICACION. Mix sounds awesome- What are you using on your 2 buss? Thanks! Is that a Yamaha CS80 in your studio? It comes free with a pureMix subscription. That track is awesome! Did you produce that? P&M Clearsonix looks like VOG with some more super useful options. Very cool!